Threats against Maria Dimitorvoa, journalist from Zov News, were commonplace vulgarities and do not warrant pre-trial proceedings. A prosecutor from the Regional Prosecutor’s Office in the Bulgarian northwestern city if Vratsa came to this conclusion on November 30, 2017, when she signed a decree terminating the probe triggered by Dimitrova’s claim. The threats against Maria Dimitrova and the publisher of Zov News, Dr. Georgi Ezekiev, were made after she interviewed a victim of a drug trafficking crime group at the request of Bivol. Immediately after the interview, the victim was beaten, suffered a broken hand and was warned not to say anything else. Илиян беше пребит няколко часа след като даде интервю за Биволъ пред Мария Димитрова. The information about the crime group came from Switzerland, where an elderly woman had been detained with 700 grams of cocaine. She named brothers Anri and Mancho Kovachevi from Vratsa as organizers of the drug channel. All this is described in detail in several publications by Bivol (see here, here and here), but to date, the authorities have done nothing to neutralize the organized crime group in question. 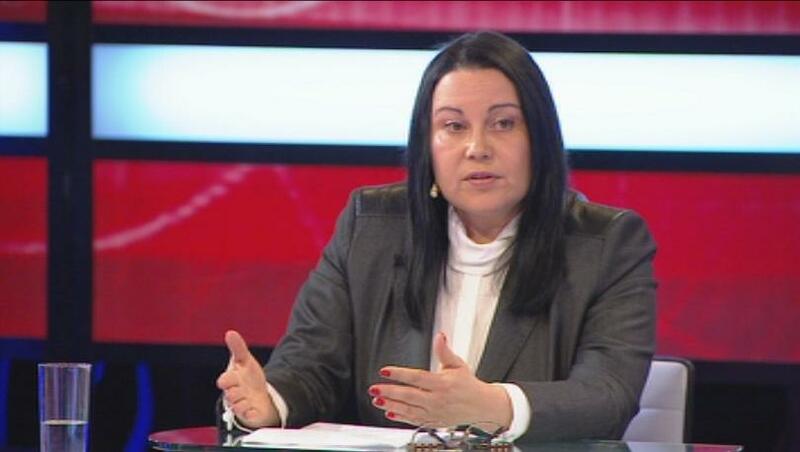 Instead, however, the authorities have demonstrated some diligence in the questioning of journalist Maria Dimitrova, who has had to take a walk to the Vratsa Regional Police Precinct six times to be grilled over her complaint. That is what she told Bivol and provided the decree that refuses any proceeding against one of the group’s ringleaders – Mancho Kovachev. In Prosecutor St. Vasileva’s decree there is not even a single word about the aggression against the boy and his beating. This boy was the one interviewed by Maria and this interview triggered the threats against her and the publisher. In addition, there is no mention of the information provided ten days earlier by a member of the same crime group who claimed in a video interview that the group planned to kill the publisher of Zov News Dr. Ezekiev. The Prosecutor’s Office obviously does not see any connection between all these events despite them definitely falling under the scope of the Penal Code. Formally, only the obscene Facebook messages, sent by Mancho Kovachev to the journalist, have been addressed. The authorities’ inaction can be explained by the revelations of close ties between Kovachevi’s group and police officers from Vratsa. A video, published by Bivol, shows that they maintain very close and even friendly relationship. Bivol has insider information that explains why the report and the evidence of drug trafficking committed by Mancho and Anri Kovachevi, which were sent from Switzerland to the Ministry of Interior, have been ignored for several months now. Our investigation continues. The threats against the publisher of Zov News ignited reactions by international human rights organizations such as Reporters Without Borders and the OSCE. The case also entered the official agenda of questions to the Bulgarian government in the Council of Europe. So far, this same government has not shown signs of worrying about its reputation. Meanwhile, on the eve of Bulgaria’s European Council Presidency, the country is holding steadily the last place in Europe in the freedom of speech ranking.